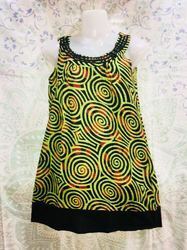 Backed by huge industry experience and market understanding, we are involved in manufacturing a wide variety of Kids Camisole. Black Strappy Blouse/Camisole/Tank top/Slip Perfect for wearing on hot days.Combine in shorts or long skirts.Make yourself even more beautiful with gold accessories. Material: 100% Cotton. Note: The above mentioned price is M.R.P. We are the prominent company that is engaged in manufacturing high quality range of Ladies Camisole. We have established our name among strong competitors by bringing wide spectrum of relevant products such as Ladies Designer Camisole. 100% cotton camisole/ Spagettis for a girls. We manufacture a diverse range of Camisoles which are renowned in the industry for its color fastness and shrink resistance. Our infrastructure is equipped with in-house design unit to deliver both standard and customized solutions according to the client’s requirements.